Cam Lo, Quang Tri (31 January 2018) – As part of her visit to Vietnam, U.S. 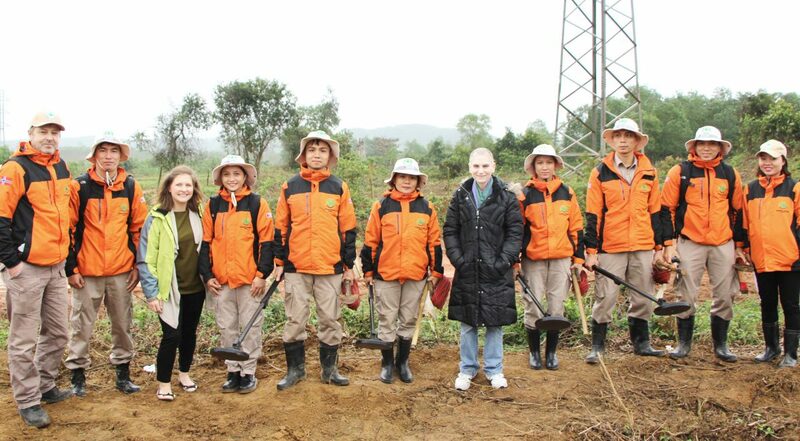 Ambassador Tina Kaidanow, Principal Deputy Assistant Secretary of State for Political-Military Affairs, traveled to Quang Tri Province on Wednesday to visit ongoing U.S.-funded efforts to survey and clear unexploded ordnance. Accompanying the Ambassador included Ms. Emma Atkinson, Asia and Pacific Program Manager of the Office of Weapons Abatement and Removal (WRA), Ms. Tammy Rutledge, Foreign Affairs Officer at U.S. Department of State, and Mr. James McCormick, First Secretary of the U.S. Embassy in Hanoi. In Cam Lo District, the delegation observed the technical survey and clearance operations of Norwegian People’s Aid (NPA) in partnership with Project RENEW and Mines Advisory Group (MAG) respectively. 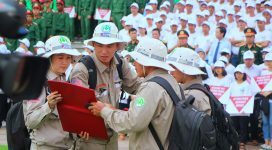 NPA and MAG are the two key international operators, along with PeaceTrees Vietnam (PTVN), implementing the WRA-funded Integrated Survey and Clearance Project in Quang Tri Province. Starting in 2015, NPA-RENEW and MAG introduced an evidence-based land release approach integrating survey and clearance. Accordingly, NPA-RENEW have focused on survey to identify Confirmed Hazardous Areas (CHA) that need full clearance. Those CHAs are then mapped out and migrated to the Legacy of War Coordination Center (LWCC) to task MAG and PTVN teams to conduct clearance. After contaminated areas are cleared, LWCC and relevant operators will hand safe land over to the local authorities along with complete handover documents for development purposes. As of now, through non-technical and technical survey operations, NPA-RENEW’s field teams have determined over 120 million square meters of land in Quang Tri Province are contaminated and need to be cleaned up. 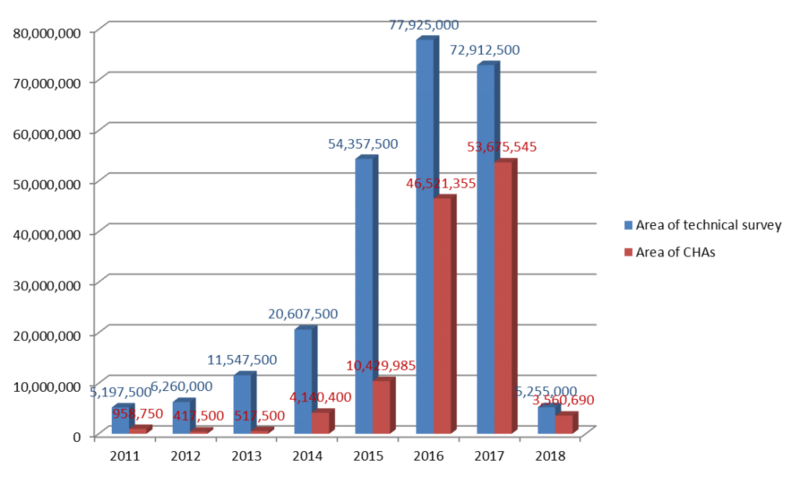 The following chart shows the total area of CHAs which have bên identified during technical survey over the years. Total area of CHAs versus area of technical survey. Source: NPA-RENEW. In Cam Lo District alone, NPA-RENEW’s survey teams have completed mapping out 212 Confirmed Hazardous Areas (CHA) that cover over 36 million m2. These CHAs are being cleared by MAG teams who have completed 34 million m2 up to now. For the Cam Lo District alone, one of the most heavily affected areas, up to 36 million square meters of land have been mapped out and clearance teams of MAG have cleared 34 million square meters thus far. Statistics from NPA-RENEW show that in addition to the goal of confirming contamination evidence to deploy clearance resources, technical survey has contributed to eliminating about 50% of the total cluster munitions and other explosive remnants of war found in the entire land release process. 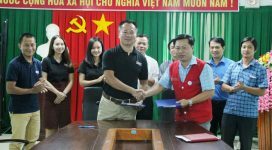 The delegation later met with Mr. Mai Thuc, Standing Deputy Chairman and Head of the Provincial Steering Committee for Mine Action at the building of Quang Tri Provincial People’s Committee in Dong Ha City. Ambassador Kaidanow expressed her pleasure to see that that mine action efforts have brought about good impacts on the people’s safety and local development in Quang Tri Province. Acknowledging the provincial government for their concern and facilitation to the mine action efforts, Ambassador Kaidanow said that the outcomes achieved in Quang Tri Province are the foundation for the U.S. Government to continue supporting Viet Nam to address the problem of post-war unexploded ordnance in the coming time. 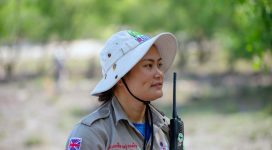 DoS/WRA is currently the biggest donor to the efforts to survey and clear unexploded ordnance in Quang Tri Province through international organizations NPA, MAG and PTVN.